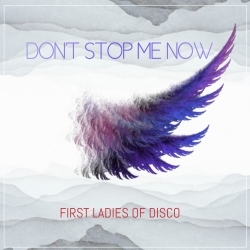 First Ladies of Disco Release New Single Through Purple Rose Records/DO-KWA Productions Inc.
New York, NY, March 26, 2019 --(PR.com)-- New single by First Ladies of Disco, “Don’t Stop Me Now,” celebrates the power of women. Released March, 25, 2019, “Don’t Stop Me Now” is an energized, hands-in-the-air anthem that explores the power of women and, inclusively, anyone who fights to rise above the daunting challenges of our world. First Ladies of Disco is an ensemble of legendary vocalists who initially gained famed during the disco era, including Martha Wash, Grammy-nominee Linda Clifford (“If My Friends Could See Me Now”) and former Chic vocalist Norma Jean Wright (“Dance, Dance Dance”). First Ladies of Disco previously reached the Top 10 of Billboard’s dance music chart in 2015 with the smash hit “Show Some Love” (also penned by Zach Adam). “The ladies are limitless,” says Zach. “They are women who have lived and have something to say.” Inspired to come together by the book “First Ladies Of Disco” by James Arena, the group has been touring to sell-out crowds throughout the US and has appeared on ABC, FOX, SiriusXM and many other media outlets.